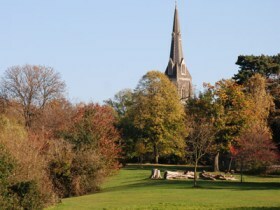 Once known as “the Queen of the Suburbs”, Ealing is an easily accessible slice of suburban west London, popular with families whose wage-earners work in town or out along the Silicon corridor of the Thames Valley. Lots of families are attracted to settle down here by the good schools and wide range of properties in this area. In Ealing, there are varieties of properties including: converted flats from Period and Listed Properties, purpose built flats from modern blocks, houses of Victorian and Edwardian Styles, Tudor Style, detached, semi-detached and terraced properties of the 1930's styles, other modern town houses, and in the last decades a good choice of newly built apartment block which offer security facility and concierge services. The rental market is extraordinarily good because of the convenience to commute to Central London by public transport and other parts of the country via the North Circular Road, M4 and A40.